We're spending more time outdoors, with outdoor living spaces getting lots of attention. So manufacturers are coming up with lots more creative furniture choices to help you create these new spaces. Most of us remember the traditional rope hammock we played on as children. 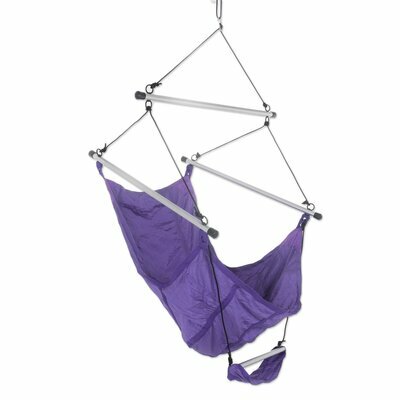 The traditional, white rope hung from trees in the yard, or if you didn't have the right trees, you could also buy a metal frame to support the hammock (shown below). There are so many choices, you simply have to search for what appeals to you. 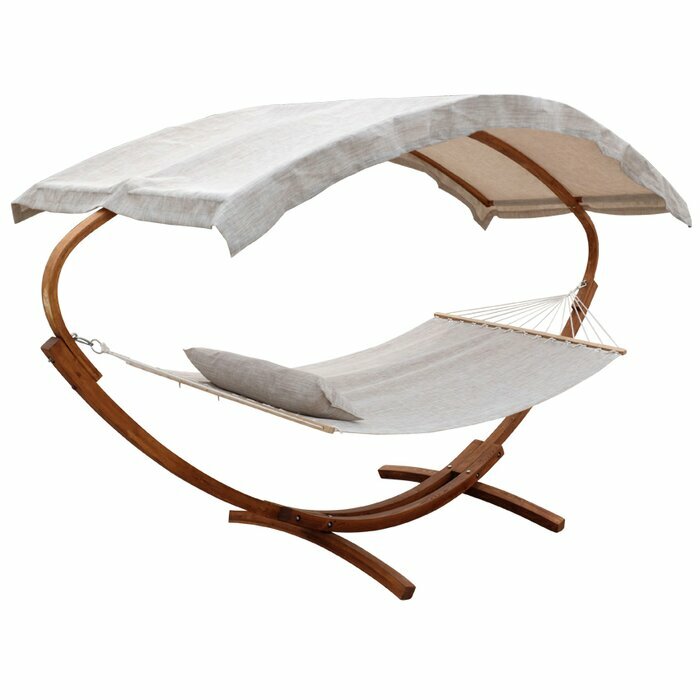 You can click on photos here to search for hammocks at Wayfair.com. You can dress up a traditional hammock with color and at Yellow Leaf Hammocks, you to design your own. And I have to tell you the story behind these is amazing. They're all made by hand in Thailand, from dying the yarn to tying the ropes. Yellow Leaf isn't just making beautiful hammocks, they're transforming a community of hill-tribe artisans in rural, northern Thailand. To date they're providing employment for more than 200 of these artisans, empowering their families to escape poverty and enjoy the middle class. So this adventure into hammocks started somewhere else … and yet the story above is so powerful, it's truly amazing what you can discover online. The idea for this story started with this amazing hammock that also includes a canopy for those who, like me, are sensitive to the sun. 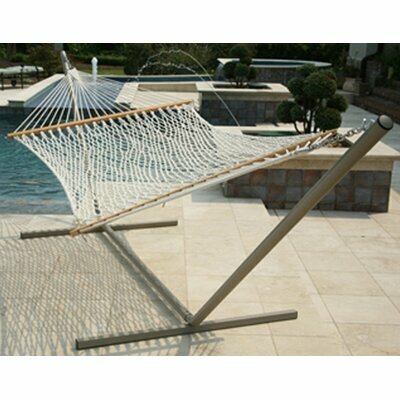 Can't you just crawl onto this hammock and swing yourself to sleep, or curl up with a good book? So hoping you enjoyed this week's special Friday Find. Hope you're having a fun and relaxing summer! You make an excellent point and the way you tie it into hammocks is perfect.